Auckland has plenty to offer its visitors and residents alike, and with Compare and Fly's cheap flights to Auckland, you too can enjoy the 'City of Sails'. Although New Zealand is made up of a large number of smaller islands and mountain ranges, the two main major land masses are known as the North Island and the South Island. Auckland is located to the West of the North Island and its Tasman Sea coastal beaches are renowned for their rugged beauty. As a nation literally built upon volcanic fields, beaches such as Muriwai are home to spectacular stretches of black-sand. Of the 50 plus volcanoes in Auckland, they are not expected to erupt again in this area, so this should ease the concern of anyone wishing to witness the natural beauty that New Zealand has to offer. 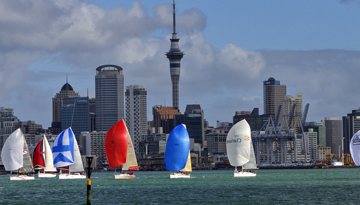 Sailing is ideal in these vast waters and with more boats per capita than anywhere else in the world, Auckland has been nicknamed the "City of Sails". As the most populous urban area in the country, it is no surprise that there is strong cultural heritage in Auckland thanks to a blend of European, Asian and Maori backgrounds. 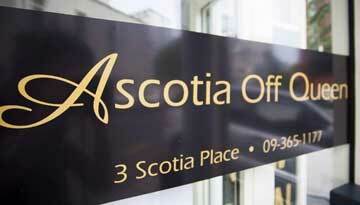 This has brought a range of activities and attractions that are sure to offer something for everyone. If you're an animal admirer, take a trip to the zoo or aquarium, and for more nature, be sure to stop off at the Botanic Gardens. Here there are 64 hectares of gardens, native forestry and floral collections, such as the Rose Garden and the Edible Garden, as well as playing host to many events which take place through the year, such as workshops on weaving and tree pruning. You can compare Auckland flight tickets with us to get a great deal on your next holiday, and with plenty of parks to explore and numerous film and arts festivals on throughout the year, it's always a great time to visit Auckland. Unlike many countries and cities, particularly in the Northern Hemisphere, New Zealand's seasons aren't as defined as those you may be used to, leading to warm humid summers and mild wet winters where temperatures average between 11°C and 20°C. It is also important to remember that the seasons correspond to different months of the year, with the warmest months being December, January and February and the cooler months being June, July and August. For stunning landscape sights, the Harbour Bridge and Sky Tower, where food and drink can be enjoyed with panoramic views, are a must when visiting Auckland. They can be easily accessed, as can other parts of the city, thanks to a great network of buses, trains and ferries. Don't just read about it, come and live it for yourself and make those special memories that will last a lifetime when you compare and book flight tickets to Auckland today! Head to Auckland from London - from £536 with ebookers.com. Book Now !! This 4-star hotel makes for an ideal base in Auckland near Greater Auckland Wine Region. 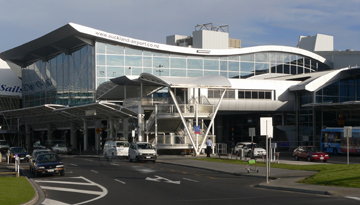 Fly from London Gatwick - Auckland & Stay for 7 nights with 4 star accommodation. Include Bed & Breakfast.